Besides looking great, cooking and food preparation on butcher block surfaces is gaining popularity. 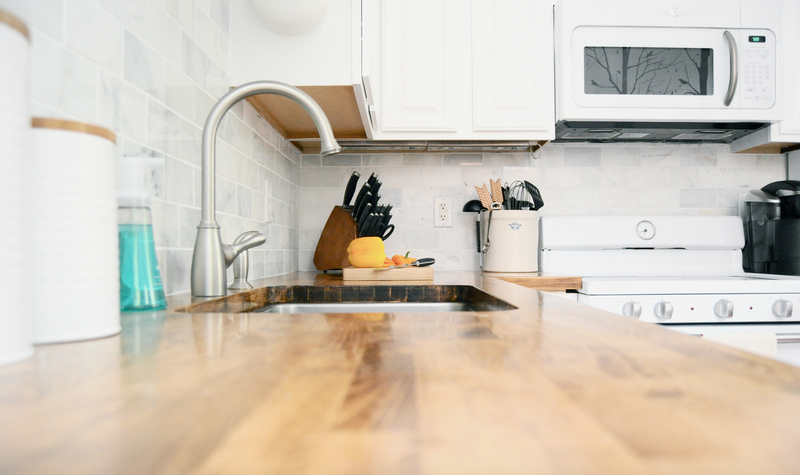 As the counter is already made of wood, a cutting board is not necessarily required. This makes for much easier handling of food for chopping and cutting, in addition to being a heat resistant surface. Knives also are less prone to becoming dull when hitting a wood surface versus a synthetic finish. With the rise of creativity in the kitchen and the extension of food prep boundaries, butcher block counters are the preference of many novice and serious chefs alike. Butcher Block Counters come in many different types of wood and wood styles. We carry a variety of butcher block counters at Lake Hallie Cabinets and would be happy to discuss any questions you may have. Call us or contact us to setup an appointment today.